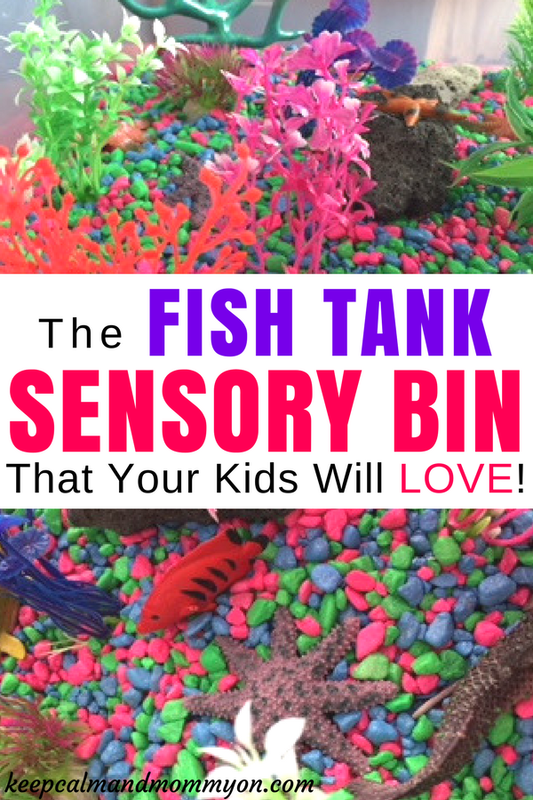 The Ultimate Fish Tank Sensory Bin! 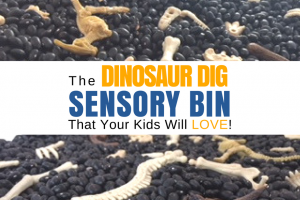 Are you looking for a great sensory bin idea for kids? 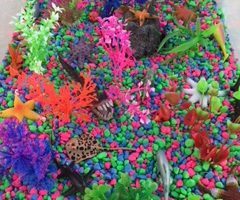 This fish tank sensory bin looks just like a real fish tank! 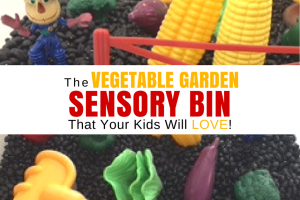 It’s colorful, fun, and full of different textures for little hands to explore! 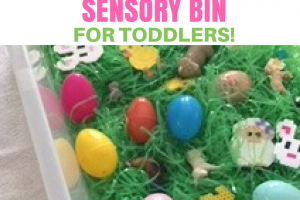 They had so much fun with the easter sensory bin that I made, that I decided to make another one! 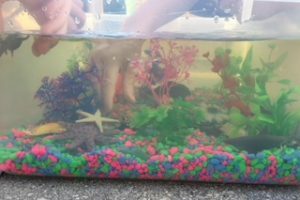 My six year old got a fish tank for Christmas. He was so excited!! He absolutely loves it! 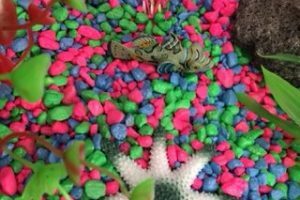 The fish glow in the dark, it has a volcano, it’s his own personal night light. It seriously looks like it came straight out of Finding Nemo! Blackwater Creations did an amazing job on it! So I thought, why not make my own version of his fish tank that the kids could play in?! It was a big hit! 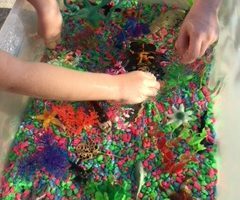 Using their toy fish and sea animals, they played and splashed for hours! What little kid doesn’t love to play in water?! 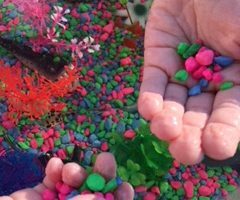 Of course, because this sensory bin does contain water, adult supervision is required. 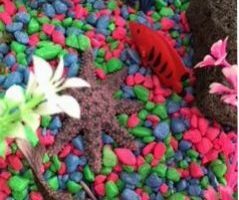 First you need a bin to create your fish tank in. Next gather all of your fish tank decorations! You don’t have to use exactly the same things in your tank that I did. I used a combination of items that we already had on hand, and items that I found on amazon. 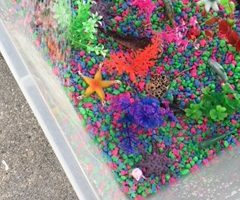 Start by adding your Aquarium Gravel to your tub. Then position your fish tank plants, fish, rocks, etc. throughout the tub. Now take a second to sit back and admire your handiwork:) Your kids are going to love this! The last step is to add water. Add the water carefully so that you don’t dislodge all of your rocks and items! Now it is ready for play! This tub encourages imaginative play. 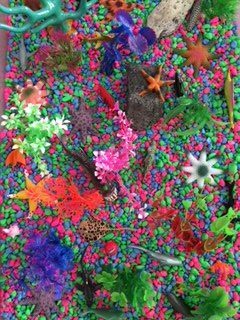 My kids loved making the fish swim, play together, and splash! Now, one word of caution, this can be a little messy. Not dirty, as it is just water, but you will end up with some water outside of the bin. We took our bin outside to play. 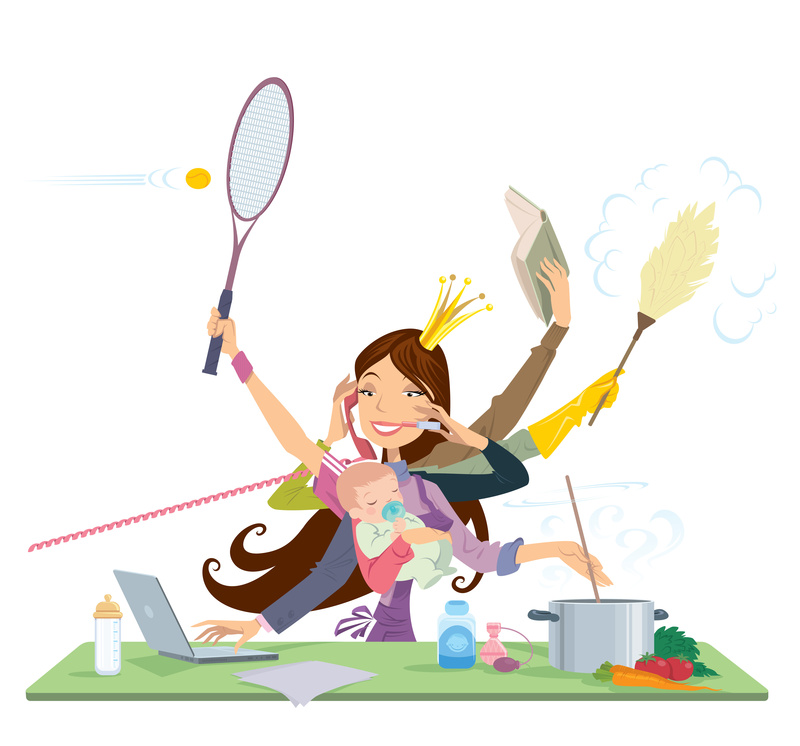 But you can also put a towel down under or around to absorb any water if you are playing indoors. And that’s it! 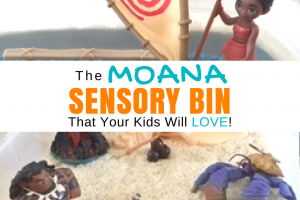 This sensory bin is very easy to assemble. 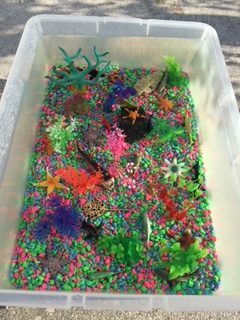 I hope you and your kids enjoy the fish tank sensory bin as much as we did! 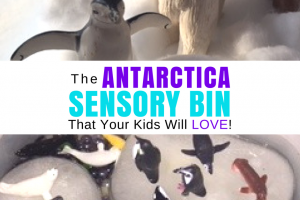 What items will you add to your sensory bin? Let me know, leave me a comment below! « 10 Easter Perler Bead Patterns and Ideas!